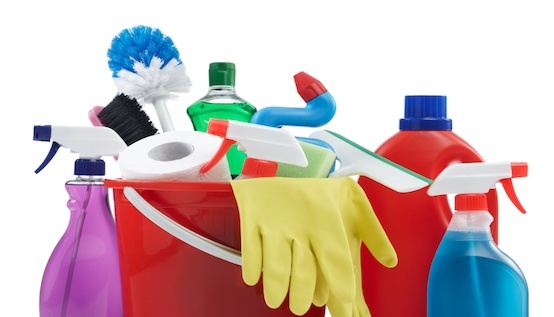 It’s summer and it can be a challenge to keep your home fresh and clean, although the weather’s nice and the sun is shining, summer often presents a few messes. We all know California has the craziest weathers and most of the time the sun is up shinning. Giving your home that fresh feeling takes some work but it will only make your home much cleaner and well organized. Use these five tips to keep your house clean and organized throughout the hot season of summer. Whether it’s washing off from a long day at work or sweat from your kids’ sports game, your shower is likely to see more use during the summers. You want to be sure that you keep a window open or the bathroom fan on during every shower to prevent humidity. Since we do live in a humid area, you want to be sure to wipe down any surfaces that accumulate moisture to prevent hard water stains on title or counter tops. In addition, you want to go through the shower rack and under the sink to throw away any bottles of old personal care items. Only keep a few items that are necessary instead of having high unnecessary inventory. The key to prepping the laundry room for a summer full of washing, drying and folding and shorts, bathing suites and grass-stained T-shirts is organization. Take a days out of the week to focus on laundry. You don’t want to be washing all in one day alone or everyday either. Pick 2-3 days to wash and after washing fold or hang your new washed clothes. The key to clearing your laundry room is to empty bottles and boxes that may have been left over. Make the room less clutter and easier to sort all your clean clothes. Tip: Store all your winter/ fall clothes so you can only focus on your summer attires. Since summer presents an entirely different set of stains you’d encounter in most other seasons (food, ice cream, grass, dirt), you’ll no doubt need to be able to sort what clothes needs to be hand washed and those you can simply toss into the washer. With the hot temperatures, many times it can cause a stinky smell when your garbage fills up, you want to be sure to constantly . Cleaning is all about organizing and surfaces, summer is the perfect time to get into organizing on all appliances. While cleaning the pans and the toaster involves just washing or removing crumbs , appliances that seem smaller are much easier to clean compared to the big appliances such as microwave and the biggest the oven. These need the extra work from you, whether you choose to frequently use it in the summer or minimize the time you use your oven is up to you. Just remember that you need more time to deeply clean your oven and microwave. Check out these 6 Oven Cleaners . Finally you’ve cleaned all areas in your home this summer! Although your house is sparkling clean when you walk through, there’s still a very last area that needs to be looked because often times something about a pantry can also get overlooked. Be sure to look over all your items and search for any expired, unused or empty items. This is the perfect time to organize all the usable items for easy access. Lastly dust all areas and items on pantries.